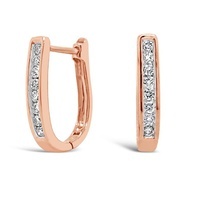 A delicate pair of 9ct rose gold teardrop hook earrings. These earrings feature stunning brilliant cut diamonds delicately pave set to form a pear shaped drop. 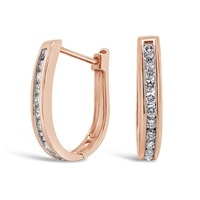 The rose gold polished hooks accentuate the beautiful diamonds, creating an eye-catching, elegant and classic design.